June is a hot affair in India, especially if you live in some of the northern states and cities of the country such as Delhi, Lucknow, Rajasthan, and Amritsar. Therefore, it is natural to want a much-needed respite from the scorching heat of your city and travel to some of the cooler and more enchanting places in the month of June that India has to offer. If you have been looking for the ideal places to visit in June in India, this list is just for you! Let us check it out! Ladakh is a destination that is packed with action. This place is filled with mountain ranges, peaceful monasteries, numerous trails, pristine lakes, panoramic views, and the highest motorable roads. You can visit this place with friends or family and relish its charm like no other place. It enjoys sunny weather in the month of June, and there is no end to the number of activities you can do such as trekking, mountain climbing, river rafting, etc. Shimla is another amazing hill station you can consider for your getaway this June. The place enjoys a pleasant and mild temperature from 15°C to 30°C, and the weather is just right to enjoy the panoramic views and the beauty of the place. With crisp winds and a lot of tourist attractions, Shimla is a great option to consider this summer. Auli is another place in Uttarakhand that is filled with snow from all sides. It is definitely one of the coolest places to travel to in India during the summer season. This place takes you rather close to the Himalayas and can be an experience of a lifetime with your friends or family. Auli completely transforms into snowy heaven during winters while in summers, it is a paradise all the same. Goa is a must-visit place during the summer season in India or any month of the year for that matter. With beautiful beaches, fantastic food, vibrant environs, and Portuguese architecture, there is something for everyone in this amazing June getaway in India. You can do everything from scuba diving to windsurfing and sunbathing while in Goa. Therefore, if you are looking for some beach therapy, Goa is the place to be this June! 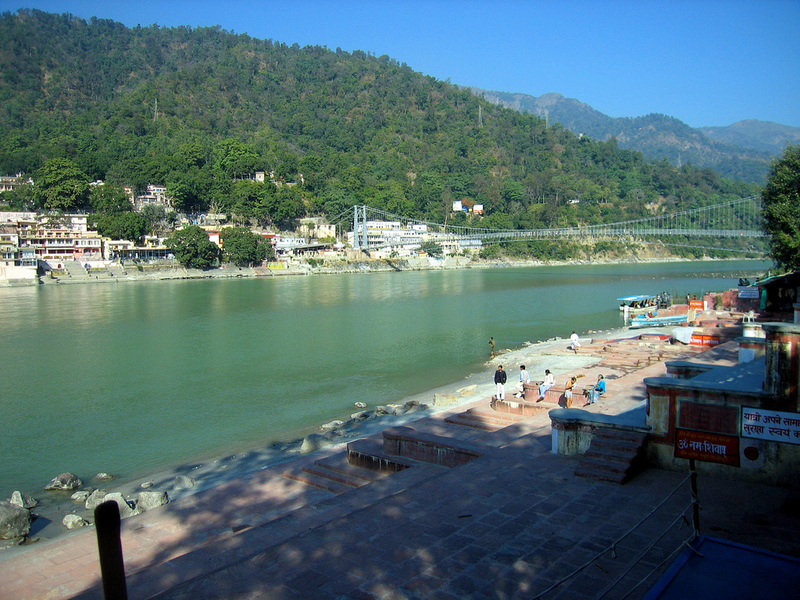 Rishikesh is another place you can consider for your June getaway. This place is full of adventure and fun. You name an adventurous activity, and you can do it in Rishikesh. This place sees hordes of tourists every summer where people like to indulge themselves in adventurous activities from rappelling to rafting. If you are religious, there are also plenty of temples you can visit for some peace and quiet. Tirthan Valley is another cool place in the country. The name of the valley has been kept after the Tirthan River. This river flows from the Himalayan Glaciers through Himachal Pradesh. This is a rather offbeat destination with gorgeous rustic huts and snow-capped mountains. You can visit major attractions such as Jalori Pass and Seloskar Lake for an enviable time. Kasol is one of the perfect getaways for trekkers and backpackers. The place is nestled amidst high mountains and can easily be regarded as a trekker’s ultimate paradise. Kasol also hosts some of the most thrilling EDM parties and is home to many famous bakeries as well as Reggae bars. You can also try fishing in the Parvati River for a serene time. We cannot really talk about getaway places in June without adding Mount Abu to the list. This hill station in Rajasthan is nestled amidst the Aravalli mountains. Although Rajasthan is the state of deserts, Mount Abu comes as a much-needed escape from the heat of the cities like Jaipur. It enjoys pleasant weather during June and has amazing tourist attractions for people of all ages. Kanatal is situated in Uttarakhand and is a paradisiacal place surrounded by greenery, rivers, and mountains on all sides. This place is a growing hub of outdoor activities and all kinds of adventure sports. Even though Kanatal is high in adventure, there are many things people can do in the place during their holiday. Malana is a place you can go to if you wish to escape from the monotonous routine of your daily life. This place is popular for being one of the world’s oldest democracies. It is situated at 9500 ft. above the sea level and is basically a village setting surrounded by snowbound mountains. You can hike, camp, trek and explore this secluded village to your heart’s content. You can also visit many temples for a religious experience. Dhanaulti is another popular place when it comes to adventure and outdoor activities. This tourist destination in Uttarakhand offers awe-inspiring Himalayan views and lush Deodars forests. During the summer season in India, Dhanaulti can be one of the most serene and pristine places to visit. You can trek with your friends and family to the Pine Forest, camp and do rock climbing. Kamshet is another cool hill station situated in Pune. This quaint place showcases nature at its very best. The hill station is located 2200 ft. above sea level. It offers picturesque and panoramic views of the Western Ghats. This place is also quite famous for its flying schools among many other things. You can experience the ultimate thrill with paragliding adventures. All this and more makes Kamshet a must-visit destination this June. Located in Karnataka in the Chikkamagaluru district, the literal meaning of the word ‘Kudremukh’ is a horse’s face. The place was given this name because its peak is shaped like a horse’s face. This hill station is quite renowned for its impressive landscape and pleasant weather. This is easily one of the most pristine and serene hill stations you can visit during the summer in Karnataka. Who hasn’t heard of the famous Kodaikanal? This well-known hill station in Tamil Nadu can impress anyone with its limitless charm. Kodaikanal is situated on the granite cliffs super high at 7200 ft. above sea level. It is surrounded by scenic lakes, lush forests, majestic hills, and mighty waterfalls. It is also one of the most sought-after honeymoon destinations in the state of Tamil Nadu. Being crowned as one of the most beautiful and mesmerizing places in the country, Sikkim promises a blissful experience to travelers and tourists. With the jaw-dropping and gorgeous views of Kanchenjunga, more Buddhist monasteries than you can count and serene nature, Sikkim is bound to leave you wanting more. You can also visit famous places such as the Yumthang Valley and Lake Tsomgo for a memorable time. Pondicherry is a vibrant and rich French colonial city and sees countless tourists visiting throughout the year. It is also the favorite and preferred hangout spot of people in Chennai who are looking for some weekend fun at a beach. With colorful French architecture, numerous beaches and welcoming people, Puducherry or Pondicherry is a fun-filled retreat that you can enjoy with friends and family. Rightly known as a paradise on earth, how can we not include this heaven into our list of the best places to visit in June in India? Kashmir offers pristine surroundings and serenity like no other place in India. Irrespective of whether you are looking to travel alone or with family or friends, Kashmir can deliver on the promise of tranquility and peace away from the hustle-bustle of city life. You can also visit hill stations such as Gulmarg, Pahalgam, and Sonmarg when there. Manali should definitely be on your list when considering the places that you can travel to this summer. The best thing about this hill station is that the weather is delightful and agreeable during the months of June and July. The snow melts and nature are revived to take your breath away and make for some of the most click-worthy destinations. You can enjoy a number of outdoor activities in Manali and visit several temples as well as the Manali Sanctuary. Shillong is a popular place in east India known for its vibrant culture and mesmerizing waterfalls. This place will definitely make you fall head over heels in love with nature’s bounty and many blessings. You can visit places such as the Shillong View Point and Umiam Lake for a wonderful time. Last but not least we have Coorg, another popular hill station in the state of Karnataka. This place has been designed for coffee and tea lovers. In addition to that, Coorg is also popular for its spices and beverage plantation. You can visit the Abbey Falls, Nisargadhama or a coffee plantation to taste some authentic coffee. Coorg is bound to make your entire experience this June super memorable. And there you go! Choosing any one of these top 20 places to visit in June in India would show you an amazing and unparalleled time. So, where are you going this June?